Accelerator Mass Spectrometers (or AMS) are the preeminent instrumentation used to measure 14C isotopes for radiocarbon dating analysis. AMS requires only a minute amount of material to obtain accurate, precise measurements, making it ideal for dating materials that are often rare or small. However, due to the small sample sizes involved, control of contaminants is vital. Appropriate pretreatment is required to ensure potential contaminants have been eliminated and will not lead to substantial errors. DirectAMS operates two different AMS instruments, an NEC Pelletron 500 kV and an IonPlus MICADAS 250 kV. The differences in design for these two instruments is significant, but the general principle in achieving analysis is the same. 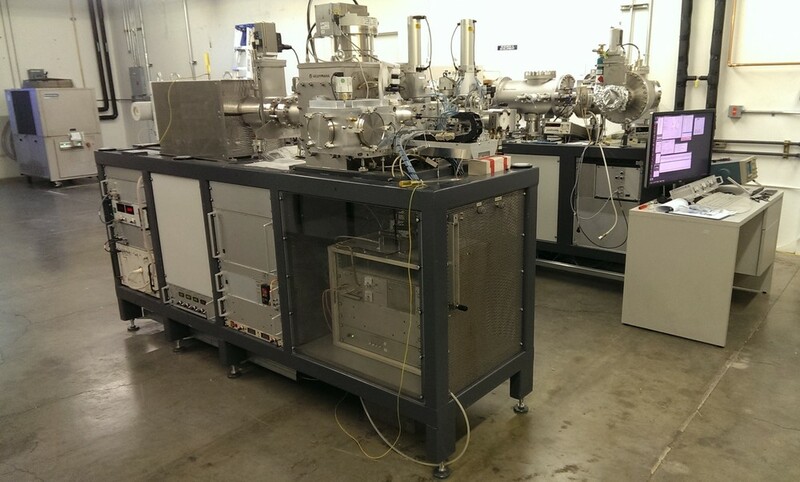 Our Seattle AMS Laboratory features our National Electrostatics Corporation (NEC) 1.5 SDH Compact Pelletron Accelerator Mass Spectrometer. The instrument operates with two NEC MC-SNICS Cesium (Cs) sputter ion sources, with 40-sample and 134-sample capacities, respectively. A beam of C- ions is produced by bombarding the surface of a graphite sample with Cs+ ions. The C- beam is accelerated, focused, and split into 14, 13, and 12 amu beams. Each of the cathodes is sampled multiple times, allowing for a statistical evaluation of numerous data points for each sample. Raw isotope ratios are transferred to our proprietary data analysis software, where final calculations are performed. An aggregate carbon ratio and calculated radiocarbon age are reported after meeting statistical acceptance criteria. Normalization and reference standards are included with each measurement group to ensure statistical integrity. Additionally, chemical blanks are created and measured concurrently with sample groups to identify the minute amount of extraneous carbon incorporated during sample processing. Machine blanks are measured with each AMS batch to quantify the instrument background. Image courtesy of Swiss Federal Institute of Technology Zurich. The installation of our second AMS, the MICADAS 250 kV, is currently underway, sharing a facility with our Bothell Sample Processing Laboratory. The MICADAS was manufactured by the Swiss Federal Institute of Technology in Zurich (ETH), and is of a different design than that of the Pelletron AMS. Most notably, this accelerator has no moving parts.